Every Monday at 3:15 pm, students in Graded’s Knowledge Bowl Club gather in faculty member Michael Prosalik’s classroom and set up buzzers. Mr. Prosalik, who is in his fourth year as an Upper School science teacher at Graded, also serves as the club’s faculty advisor. During the team’s weekly practice, he reads through a deck of sample questions while his students, divided into two teams, race to answer them. "In the 1980s, US states could have repealed it by passing instead a District of Columbia Voting Rights Amendment that would have given Washington, DC a US Congressman and two US Senators. Identify this Amendment to the Consti-" The sound of the buzzer interrupts Mr. Prosalik. “The answer is the 23rd Amendment." “That is correct,” he answers. Knowledge Bowl covers a breadth of subjects – social studies, humanities, science, mathematics, arts, sports, music, and current affairs. Through several rounds of questions, contestants are challenged in speed, knowledge, and assertiveness. Participation in the club equips students with invaluable life skills. It instills confidence and fosters collaboration. “It has taught me to have less fear in being wrong and to be more assertive," says Nicolas S., a senior on the team. Aside from weekly practices, Knowledge Bowl Club members do not formally prepare for the competition. For sophomore Samuel B., staying competitive is not a task but a mere consequence of pursuing his interests. A history enthusiast, Samuel reads voraciously and pays extra attention in history class, which helps to improve his knowledge of the subject. “It’s really fun when you’re asked a question about something you’re interested in,” he says with excitement. As it turns out, humor + practice = success. 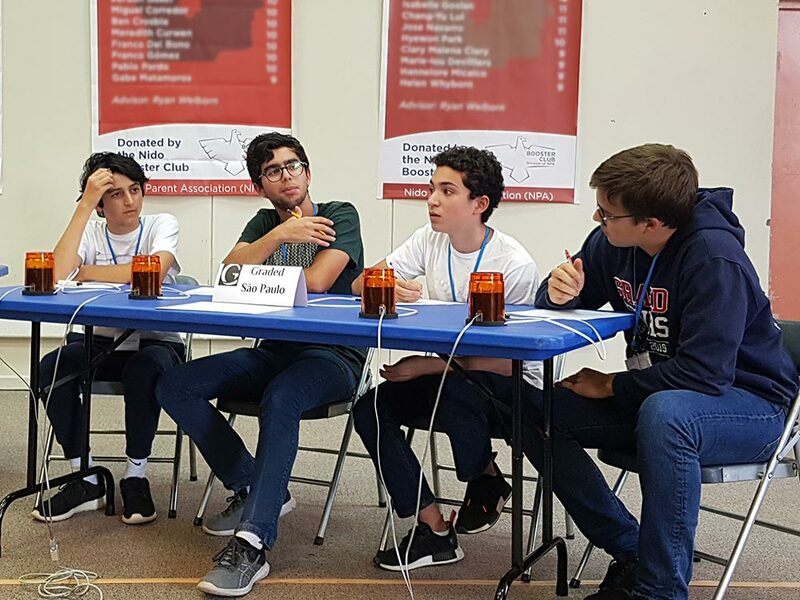 In mid-October, five members of the team traveled to Santiago, Chile to compete in the 2018 Knowledge Bowl Tournament. 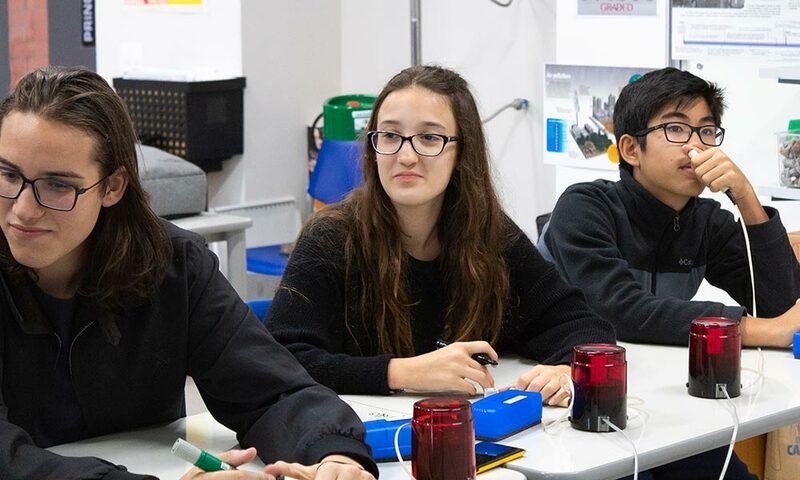 Twelve schools participated in the competition, which took place at International School Nido de Aguilas. With an astounding eleven wins and two losses, Graded came in a close second. "The tournament was great! Our last match with Nido was very tight, but we're already looking forward to our next one," asserts senior team member Gabriel Y. 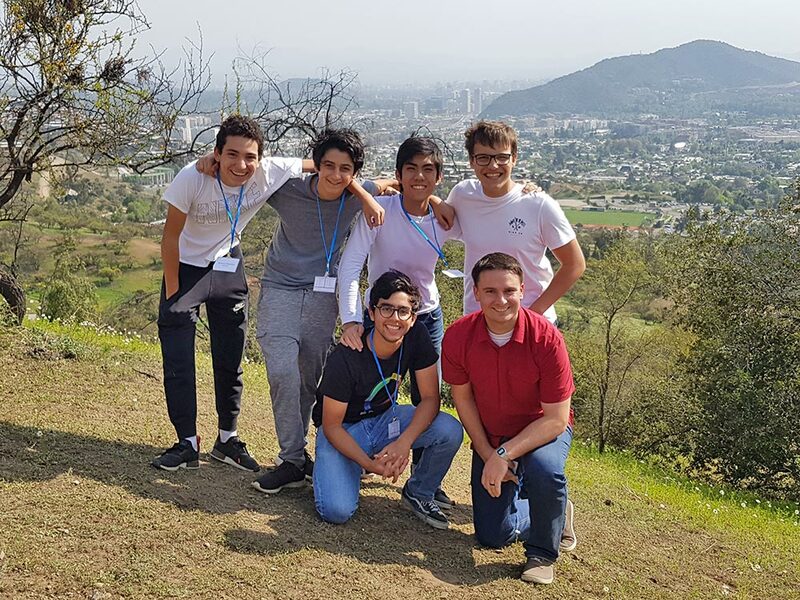 Knowledge Bowl has allowed Graded students to build lasting friendships with students from other Latin American schools. “We’re especially good friends with the Nido team, even though we only see them twice a year during tournaments,” remarks Nicolas. Graded team members also exhibited exceptional sportsmanship during the tournament. "They became known for their leadership and friendliness. During the final round,” relates Mr. Prosalik, “they were joking back and forth with the competing team. It's evident they view the tournament not as a competition but somewhere they can truly celebrate knowledge."